September is a month marked with interesting activities — it features the end of the Hungry Ghost Festival and the celebration of Mid-Autumn Festival. Mountains of colourful leaf litter are commonly spotted at the other side of the world, yet not so in Singapore. 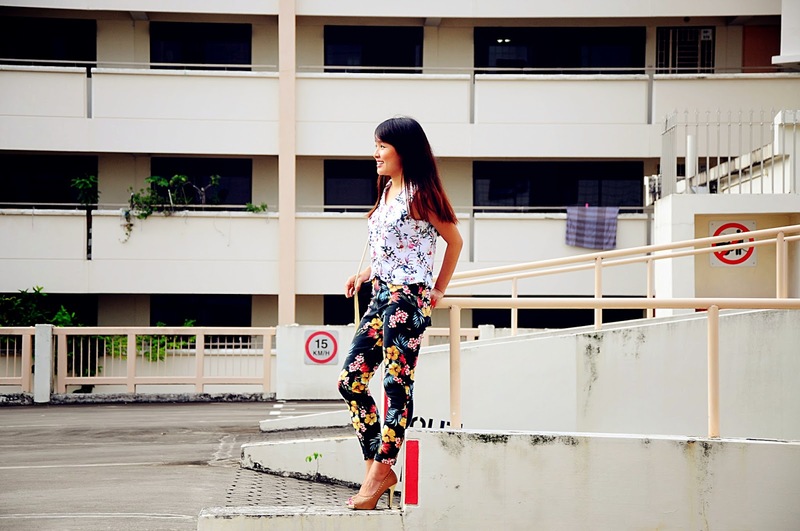 Why not brighten up this month in our own way by sporting a floral outfit? Made of neoprene with inner lining, non sheer. The top features a V-neckline with zip closure at the back. It is so pretty and i love your colour combination glad to see this post. The color combination are really preety.The Dressing sense are really Great. This inspire me very much about nowdays Women fashion.